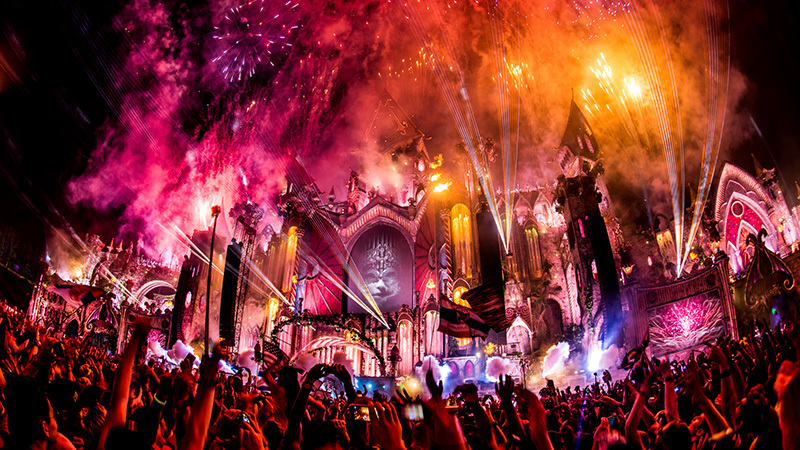 Live Everyday As If It is a Festival. Turn Your Life into a Celebration. Festivals! Festivals! Festivals! This word itself stimulates us through our nerves and impulses. It has a charisma of its own .In the name of festivals the atmosphere itself gets enthusiastic and carefree….it proportionally implies to holidays!!! !People all around the world love to enjoy festivals .It provides them a break from their hectic and boring schedules. It’s just the time when people are free from their bustling bosses and strict teachers. Festival adds color to life. Without them, life seems to be a tasteless dish. The periodic cycle of festivals in our lives lead to positive changes. They are marked by auspiciousness. People prefer to start their work or establish new business during festivals only. They enhance our mind and calms our soul. Festivals act as an integration tool and bring people together. The most important culture and traditional aspect of any place is its festivals only. Festivals unite people and help in increasing socialization. Your interaction with your friends, family and acquaintances automatically increases during festival times. Isn’t it? Whenever the course of life stress or just freaks you out festivals our the escape out, it is the best remedy. Joining in festivals not only makes you happy but also energizes your spirits. Your mood changes up instantly and there is much willingness to feel alive. Festival impact is not only limited to yourself or your individual surroundings .The place itself gets brightened up! The ambience of festivals gets on the air. It is infectious. All the people in the community feel happy, light and contented. Festivals not only loads our heart with merriment but, unfortunately, also loads heaviness to our piggybanks and pockets. It’s the ideal time for business to boost their sails and people to grab accessories. Sail and discount notices hang like pendants down the wall, in each and every market, like anything. Women and girls who are just crazy for shopping long stand in front of shops and queues to buy their favorite shoes, jewelry and outfits. The markets are full of people moving here and there buying accessories for their homes along with many cherished tasty treats! Festivals is the time when people get to cook delicious snacks and dishes which makes us mouthwatering! Otherwise our mother makes us tend to daily veges! Festivals provide us with different-different sweets to relish. Children get attracted to sweets and candies like swarm of bees. They just gobble up all the things up like monsters. It is the event where, people generally put on weight! Not only that, people share their sweet love through a box of sweets. There is a general practice in the society to send gifts and presents as a token of love to our kith and kin. So, during festivals children usually expect lots of goodies from their uncles, aunts and as well as grandparents. A lot of expectations fulfill, many not and many get due to next year. Festivals are marked by religion, season or national significance. All the festivals are deeply rooted to a tradition, custom or moral. Many festivals have a distinct history or myth behind them. The festivals of a country are the true manifestation of its spiritualistic domain. The theme of festivals vary with their varying values. Different believes add new and new customs to these festivals and the practice continues forever. Each generation according to its understanding keep adding and changing values to those customs. Today, all the rituals of any festivals are just refined by our back generation only and much is to be refined by our future generation too in the coming years. No festivity is static….it goes through changes and variation according to time and circumstances. While a lot number of festivals depend upon religion countries all over the world have come up with some important dates and celebrations, marking a patriotic event in their nation’s history. These national festivals are a tremendous way of valuing are soil and remembering the great martyrs and sufferers who sacrificed everything for our freedom. Thus, festivals not only act as an integration tool, but also make people value their country .In a country like India (to which I belong), season change too cause for a celebration during Onam, Baisakhi and Wangla (harvesting festivals in India) .Since mine is an agriculture based economy, changing season plays a crucial role in farming .Otherwise also, food makes a man run, it should be certainly respected, as well as the one who grows them-The Farmers. Festivals help people to get their due respect and recognition whether it be patriot, farmer or a common man. Labor Day in America is the best example. The fervor of festivals are even spread towards minorities. India witness some of the most colorful and unique tribal festivals consisting of pompous dance, music and different customary practices whether it be Hornbill,Bihu or Saga Dawa (tribal festivals in India).My country is a land of festivals!!!! I am very lucky to born here. It consist of many cultures and traditions .Thus, triple celebration! !These bring with them various festivities. Diwali lighten up our homes and hearts with earthen lamps and candles, ramzan makes our tongues sweet through delicious kheers and sewaiya (sweet vermicelli), christmas bring with it treats and surprise gifts while holi makes our life colorful and…..a bit moist too! The month of October itself is a bag full of festivals in India this year. We all are expecting a series of holidays here.Though India consist of countless festivals, I love to know about the festivals celebrated in other countries all over the world….and it is one of my cherished dreams to be a part of them in my lifetime. One among them is the Brazilian carnival at Rio De Janerio. Carnivals themselves run energy through our nerves. Though many carnivals are conducted all over the world, the one at Rio proves to be the most gigantic one. It has various schools of sambas (a dance form), dancing and taping to music while making others to move to their tunes. These samba school on their floats pass through the parades carrying differing banners, festoons and symbols. The parades are filled with colors of all sorts(as I have seen in TV and pictures).It’s the time when elegance is usually kept aside and everyone just enjoy silly and childish samba steps, wearing poppy and funky dresses imposed by a mix of colour, glitters ,beads, stones and shine! No one gets bounded up. People just get fettered free from shyness and express themselves openly. This itself defines the beauty of the celebration! The parade involves the royal family of king Momo (funny name! ), queen of carnival and her two princess .These characters are chosen up annually only to just portray as a physical stature. The four day carnival is accompanied by small-small street festivals all over the Brazil. The event commences on Saturday and ends on Fat Tuesday, leading to Ash Wednesday. All these are some of the terms related to Roman Catholic calendar. Seriously, a person must visit the place in their lifetime. The festival just compels me to dance, I can’t resist myself. But still, in spite of all this, my heart pains to see the present. The other side of the coin just narrates a different story. Despite many of the colorful aspects of festivals mentioned above, In today’s time, the relevance of festivals is still under a question mark. The quality in festivals is deteriorating with passing years. Instead of giving happiness or joy, people usually get confide to their personal comfort and merit. No one knows the reason for the holiday or the significance behind it, they just tend to relax on their couches and watch TV! Festivals have been started gauged by a lower glimpse. They have got reduced to having free offs. They are the ideal time when pollution levels are above the roofs. Diwali (an Indian festival) is no more about dispelling gloom but burning crackers. The pollution is paramount. It not only harms are environment but also adversely affects are birds and animals. Truly, there is a dire need for cultural revival in the world ….and, I hope, that it would be done soon. Till the time, we all must try our level best to protect our culture, to enable our future generations to get an opportunity to imbibe in them the qualities and values of their ancestors. The chain must not break, please save it. Author Bio :Shubhangi Sharma, 16 years old student from India. A participant of International Essay Competition, October. Previous articleThe International Ice And Snow Festival Harbin, China.